FOR REAL MONEY AT PLANET 7? 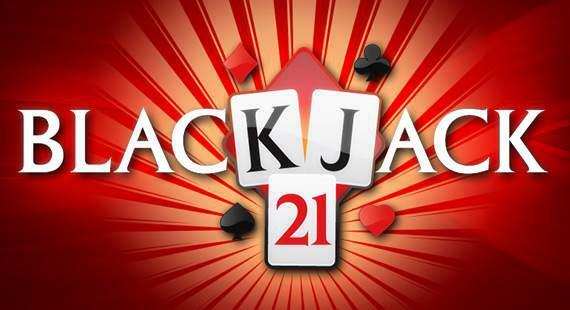 Feeling the urge to have a roll of the dice at the best online casino for real money? Then you’ve come to the right place! At Planet 7 online casino you can play craps online for real money anytime of the day or night! Planet 7 Casino offers up only the safest and most secure place to play online craps for real money today. At Planet 7 online casino, deposits and withdrawals are quick, easy and painless, to ensure you can get playing craps and winning straight away. The Planet 7 casino offers a world class, 24/7 support team available by telephone, email or instantly via live chat. At Planet 7, you’ll find only the greatest selection of all the latest real money casino games available today. Play craps online live and feel the thrill of being a true winner. Real money casino games are taking off like wildfire. One of the most exciting online real money casino games today is craps. Since its origins date back during the age of the Crusades, craps has travelled the world, a beloved game of soldiers and paupers looking to pass the time before making its way into the swank and sophistication of modern casino culture, today craps has now moved online and you can play for real money right here at Planet 7 online casino! When you’re playing online craps for real money at Planet 7 you can rest assured that your deposits and personal data are always completely safe and secure. At Planet 7 we use only the latest, top-of-the-line security protocols, on par with what you would find with any major financial institution’s online banking services. On top of that we have put in place incredibly strict personal data protection policies to make sure that your personal data remains exactly that, yours and yours alone, and will never be shared with third parties without your expressed, written permission. Deposits and withdrawals at Planet 7 are simple, quick and easy. We accept most major credit and debit cards as well as e-wallet services like Neteller and even Bitcoin. Simply head to the cashier to make your first deposit and you’ll be up and playing in minutes. When the time comes to collect your winnings, our withdrawals process is super simple. Once your withdrawal request is approved, it’s only a matter of a few business days before you’ll receive your winning funds. We know that navigating an online casino can be challenging for first time players. That’s why we have a super friendly, reliable and knowledgeable customer support team available to assist you 24-hours a day, 7 days a week. You can contact our customer support team instantly via live chat, via the telephone or by email any time you have a question or are in need of some helpful advice. Here at Planet 7, you’ll find the greatest selection of real money online casino games available on the internet today. 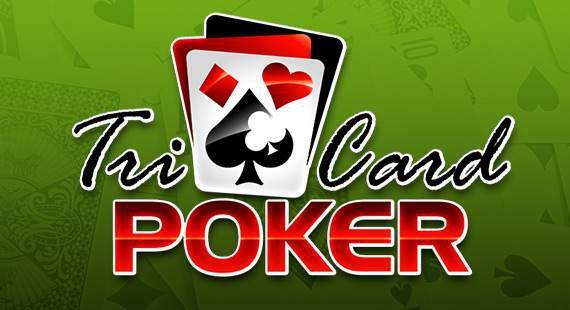 We have everything from hundreds of state-of-the-art real money slots to a broad selection of video poker games, table games like American and European Roulette, Baccarat, specialty games like Keno and Banana Jones, and oh so much more. You can play for real money anytime of the day or night on your PC, laptop, tablet, iPad, iPhone, Android or Windows powered device. PLAY CRAPS ONLINE AT PLANET 7 AND REAP THE BENEFITS! As one of the world’s oldest games, craps has long been a casino favorite. Here at Planet 7, we offer players only the best, state-of-the-art craps games to play for fun or real money. Hone your skills and get ready to win some huge rewards! At Planet 7, you can play craps for free before you play for real money! It’s not just slots which are hot for spitting out cash, craps is one of the most lucrative and exciting games to play for small wagers. You don’t need to rub shoulders with other players in order to enjoy the social aspect of this game. Playing craps online is just as sociable as playing in a live casino! Whether you’re up early to start your day, or have a random need to play at 2 in the morning. You can play craps at Planet 7 no matter what the clock says! There’s nothing like the thrill of winning real money at craps. Here at Planet 7 online casino, our state-of-the-art real money online craps games give you the opportunity to place your bets as if you were on the casino floor in Las Vegas, Atlantic City or Macau. Real money online craps at Planet 7 is a fantastic way to experience all of the thrills, fun and excitement of a classic craps game from the comfort of your own home or office. You can even play real money craps on the go, on your tablet, iPad, iPhone, Android or Windows powered device anytime, anywhere. Of course you’ll be able to get plenty of practice in a live casino playing craps. But if you’re a beginner or not so much of a pro – having a few rounds online first, is a sure way to up your skillset and prepare you for the big tables. Not only is it less expensive to play online, the payouts are equally as big as a live game of craps too. Although craps doesn’t tend to pay out as much as a game of poker or roulette, it’s a game which can result in some huge winnings if done right. With an effective strategy and a bit of luck, players can end up with some very strong combinations which in turn, can lead to the biggest jackpots. In a live casino, all games are very exciting and sociable. However, just because you choose to play it online instead, doesn’t mean you’ll lack any interaction with other players. In fact, by signing up to Planet 7 online casino, you can play craps with thousands of other gamblers while making friends from the comfort of your couch! Unlike a live casino establishment, you can play real money craps online at Planet 7 any time of day or night! Simply register an account, deposit some funds, and before you know it – the next big win could make its way to you at 4am for all you know! With the help of our blog articles you will master a craps game as well as other specialty games in no time. Learn about the proper craps strategy, get to know the history of the game, when to bet and when to wait, as well as other important techniques for mastering real money craps. If playing a game of slots or a hand of poker doesn’t float your boat, check out the wide variety of exciting specialty games available at Planet 7. Spin the wheel of fortune with European or American Roulette. You could also play Keno if you’re keen to, or shoot the dice for a good old fashioned game of craps. Play all of our online specialty games at home or on the go. And the best part about playing specialty games online: you can play them all for real money! Who plays real money specialty games? Well, if the answer isn’t self-evident it certainly should be, gamblers! Real gamblers! Online real money specialty games are the contemporary equivalent of the best high-end, most sophisticated, thrilling and fun casino games you’ll find in the world’s most lavish brick-and-mortar casinos. What does James Bond play in retirement? Real money online specialty games, of course! When it comes down to it, there are pretty much two types of casino games, games that require a certain amount of skill to reduce the house odds and games of pure chance. What’s the difference and how can you tell which types of casino games are which? Thanks in large part to the wonders of modern technology, today’s online craps have much the same look and feel as playing at a land-based casino with two key differences. The first is the lack of distractions. Playing online craps at home or on the go brings you into a world without annoying distractions. 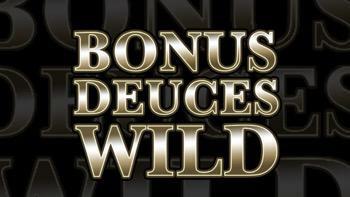 The second is online casino bonuses, giving you more bang for your buck and offering benefits you’ll never find at a land-based casino. Join a funky goggle-sporting monkey in reaching the temple before the ultimate prize ends up in the paws of the evil Leopold the Leopard and his army of snakes. You can easily play craps online for real money with a Planet 7 account. Registration is fast and free, and so is our casino software. You can play craps online or offline on your pc, Mac, or smartphone—anywhere you want to play. Play craps for free first, perfect your strategy, then play craps for real money. Simply visit the Cashier area, enter your deposit details in our secure form, make a deposit, and start playing craps for real money at Planet 7 today! Winning at craps is mostly about knowing how to bet properly. There are three types of craps bets you can make: the good, the bad, and the ugly (also known as the ‘sucker bets’). There are certain bets that increase your odds of winning and certain bets designed by the casino to rook the rubes. Know which craps bets give you the advantage, and you’re well on your way to winning at craps. The odds of winning playing craps depends on 2 important factors: probability, and the type of bets you place on each roll of the dice. Each roll of the dice holds the same random probability of hitting a certain number combination with each roll. It does not change, even if you haven’t rolled a 7 in 100 rolls. This is why you should avoid single result bets, and make bets which give you the highest odds of winning. The game of craps is full of colorful slang and jargon confusing enough to baffle the uninitiated. Planet 7 has many guides to the game of craps and key craps terminology to help you get a grip on the gab. Learn the difference between a come-out roll (the first roll of dice in a round of craps), snake eyes (two 1s), and yo (short for yo-leven; 11). Check out our craps guide to learn all the key craps terms. We’ve all seen the movie version of craps, where a beautiful babe kisses the dice before they are shaken and thrown across the table and bounced off the wall. And the crowd goes wild! But winning a real craps game takes a lot more than a pair of lips applied to the dice. You need some serious strategy, mate. Check out our handy guides to learn all about how to win real money playing online craps, including the best strategies, rules and tips, how to avoid bad bets, and more. The game of craps involves more than just chucking dice across the table and bouncing them off the wall. It’s all in the betting. Which wagers work best? What’s the difference between a pass line and a field bet? In order to increase your chances of winning a craps game, it’s time for some tips from the pros. Shooting craps is done in rounds, or a series of dice rolls. The first roll is the ‘come-out roll.’ If the 2 dice total 7 or 11, you win. If you roll a 2, 3, or 12, you lose, but you get to roll again. If you roll a 4,5,6,8,9, or 10, it’s called ‘point.’ Now all you have to do is roll that same number again on your second roll to win. The craps table is loaded with opportunities to bet, but which bets are the smartest? While it may be tempting to bet a large amount of money on a single roll of the dice, this is terrible bet to make. Unless you have money to burn, it’s best to read up on how to avoid the worst bets on the craps table. While you’re warming up the dice to shoot some craps, have you ever wondered how craps got its oddly amusing name? The exciting modern version of craps has undergone several rules and name changes over the ages. In the Dark Ages, craps was first known as ‘hazard’ to a bunch of bored soldiers shuffling around a field awaiting the next battle. After bouncing around Europe for a few hundred years, the craps dice finally landed in New Orleans, where French colonials put their own twist on the popular game. The modern dice game with the funny name has a long and storied history. The game was played by bored soldiers on crusades in the Dark Ages, and carried over to the New World by Frenchman squatting in New Orleans alleys bouncing dice off the walls. It’s still unclear if the modern name of the game derived from the French ‘crapaud’ (toad) or ‘crabes’ (crabs). Read all about the origin of craps, and pardon our French. The reason the game of craps has been played since the Dark Ages is simple: you can play it anytime, anywhere, with or without a table. All you need is a pair of dice and a small crowd of people. The history of craps chronicles a fascinating journey from the dangerous days of the Crusades to the Big Easy ways of New Orleans. A round of craps continues until a shooter ‘craps out’ or rolls a 7. The record for the longest craps roll in history goes to amateur gambler Patricia Demauro, who rolled the dice 154 times in a row, continuously, for 4 hours, 18 minutes in 2009. Stanford University Statistics professor Thomas Cover said that you have a greater chance of getting hit by lightning. Holy craps! Submerge yourself in an exotic undersea world teaming with all shapes and sizes of amazing fish in the latest multi-player shooter game from RealTime Gaming. Find an amazing assortment of real money specialty games like European and American roulette, craps, keno and more! Play craps online for real money at Planet 7 casino. A world of bonuses awaits you at the best online casino in the galaxy—Planet 7! Learn all the best craps strategy you need to know today to play and win at online real money craps like a pro. Dice games are some of the oldest forms of human entertainment. Delve into the fascinating world of craps history, right here at Planet 7 online casino. If you like craps you’ll also find a phenominal selection of other popular real money specialty games right here at Planet 7, including favourites such as Americana and European Roulette, Keno, Treasure Tree and the Banana Jones dice game. If you like craps you’ll also find a phenomenal selection of other popular real money specialty games right here at Planet 7, including favorites such as American Roulette, European Roulette, Keno, Treasure Tree and much more! 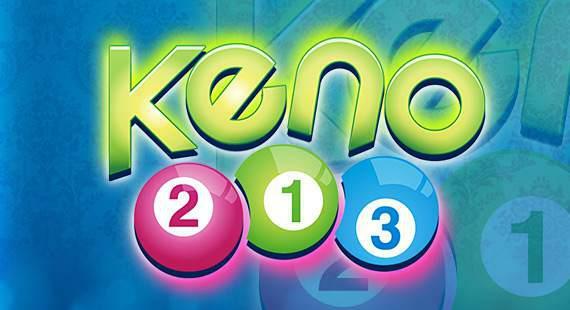 Playing Keno for real money on Planet 7 online casino is a true blast. Simply pick your lucky numbers and sit back and watch as Planet 7’s random number generator does its magic, picking out the games winning numbers. With real money Keno you can have all of the fun, thrills, excitement and satisfaction of playing Keno in a land-based casino from the comfort of your own home. There’s nothing in the world quite like the thrill of spinning the Roulette wheel and waiting for lady luck to decide your fate. Your heart races, your pupils dilate with the rush of adrenaline that comes as the ball bounces and the wheel spins in anticipation of an amazing and fortune changing win. Fortunately, you no longer have to make the pilgrimage to the nearest land-based casino to experience the full of excitement of real money roulette. Take a spin on Planet 7 today! As one of the oldest casino games in the world, craps has long been a favorite for players from all walks of life. Thanks to the wonders of modern technology, today you can experience all of the fun, excitement and passion of a craps game right in the comfort of your own home or while on the go on your mobile device right here at Planet 7! Wacky, fun, enthralling, are just some of the words used to describe one of the newest specialty games on Planet 7, Banana Jones. Take a ride deep into the heart of the jungle with Banana Jones as he dares to make the treacherous journey over a perilous swamp to an ancient temple filled with amazing treasure. Roll the dice again and again on the path to the ultimate prize. Thanks to Real-Time Gaming’s amazing state-of-the-art graphics, real money American Roulette on Planet 7 is the next best thing to being there. Really, the clarity and crispness of the American Roulette wheel on Planet 7 online casino is an all immersive experience, bringing players all the adrenaline pumping excitement of a Las Vegas Roulette table, without the distractions. Scratch card players the world over will love playing Treasure Tree for real money on Planet 7. The simple, relaxing and exceptionally fun scratch card game gives players the chance to win fantastic cash prizes with the click of a mouse. If you’re a scratch card lottery fan but don’t have the time or wherewithal to head out to pick up a ticket, simply log in to Planet 7 today and scratch away to your heart’s content and massive cash prizes. You too can win real money playing craps online at Planet 7. Our archives are loaded with success stories about lucky streaks, brave bets, and just good, solid strategy. Everyone has an equal chance of winning big playing craps online. So read up on our tips for winning at craps, check out our online craps strategy guides, and roll the dice. Playing craps is fun, exciting, and often very lucrative as well. You too can have a success story like these lucky winners! My big craps win came last summer! I logged onto Planet 7 and put a generous $200 into my account. I had just been given a pretty nice pay rise at work, so I figured it was time to do some celebrating! I scored snake eyes on my first go so instantly lost (beginners un-luck) and then went onto don’t pass. Rolled a 2 and a 3, then went in for the come bet and, 2 minutes later scored another 2 and 3! After just 10 minutes of playing I managed to turn that $200 into a fat $2k! Get in! Field bets for the win! After what seemed like hours of “shooting blanks” I finally scored big on a game of craps. At the time, it seemed like my bankroll was doomed. I was shoveling $20’s on useless field bets for around an hour before I switched up my tactics. My win came in the form of a “don’t pass” bet on a 12! I sat there watching the figures in my account skyrocket, then cashed in before the temptation came to blow it all on poker! Last week I was playing my usual rounds of roulette on Planet 7 when I decided to give craps a go. I’d seen my brother dabble in this game a few times, but never really understood the appeal. So I took a quick look at one of Planet 7’s “how to” guides, then loaded up the game. I realized this game had a really low house edge, so went straight in for a points bet and rolled a 6. Next up I went for the pass line as this seemed like a more realistic bet compared to the others. My lucky 6 appeared again, so I went in for the Big 6 next and would you believe it? That’s exactly what came out! Seriously? Three 6’s in a row? My brother now calls me the craps devil! I literally couldn’t believe my luck when my bet came through in on a craps game last month! I never considered myself a craps pro, but this was without a doubt the luckiest streak I’d ever had at an online casino. AND, the most interesting part is the fact I was playing don’t passes x 3 with odds bets. My jackpot came when I hit a 10 point, but prior to that I was accumulating 100’s of bucks just with don’t passes on the most unlikely outcomes. I know they say you should never bet on 7’s, but that’s what got me to $3,712 in the end! Result! I managed to make a nice little fortune for myself one evening at Planet 7. I am a regular craps player, but my luck had been down lately, and none of my usual bets seemed to be getting me anywhere. So rather than the usual (and safe) natural bets to not pass, I upped my bankroll by $50 and started going in for the come-bet on a few points instead. First I got snake eyes, then a few minutes later rolled an 11 and scored a huge Horn! Took home $857 after throwing down just 20 bucks! Woohoo! Would you believe I managed to turn $300 into almost $4,000? Well I did! And it’s all down to spending 20 minutes on a game of craps at Planet 7! I was starting slow at first and just placing the bare minimum on “don’t pass” bets, and kept getting everything from 7’s to 12’s to mediocre 2’s and 4’s. But then real fun started when I went in for a come-out bet and the machine spits out a big 8 10 seconds later! I was astounded when the lights started flashing and that jackpot saw my bankroll triple in size! Thank you Planet 7! Last week I was playing my usual rounds of roulette on Planet 7 when I decided to give craps a go. I’d seen my brother dabble in this game a few times, but never really understood the appeal. I managed to make a nice little fortune for myself one evening at Planet 7. I am a regular craps player, but my luck had been down lately, and none of my usual bets seemed to be getting me anywhere. Beating the house is never easy, but one of the best ways to do so with any effictiveness is to keep your eye on the house edge. Different bets in craps have different house edges. On the Come Out roll the pass line bet has a house edge of just 1.41% meaning you get less risk with possibly greater rewards. After the Come Out roll in craps you’ll have the opportunity to place what is called the Free Odds bet. A net with a house edge of zero and the best bet on the casino floor. As one of the oldest and most exciting real money casino games on the casino floor today, craps for many has long remained a bit of an enigma. The game itself is actually somewhat complex and it does take a bit of time to fully understand the rules and the bets that can be placed. Picking up a few tips and tricks is always a good way to improve your game. Read on to learn more about how to improve your real money craps game. Beating the house is never easy, but one of the best ways to do so with any effectiveness is to keep your eye on the house edge. Different bets in craps have different house edges. Simply put, Proposition bets offer up the worst odds on the craps table and are best avoided despite the fact that the dealer will often push hard to sell them to the unwary. It’s generally considered a good idea to back up your Come/Don’t Come and Pass/Don’t Pass bets with an Odds bet. This decreases the house edge significantly and ups your chances of winning. WHY ARE THERE SO FEW CRAPS TABLES? When you go to a land-based casino you’ll notice that there are generally fewer craps tables than other table games. The reason is that craps is more labor intensive for the casino, requiring four people to manage a table. The game of craps was originally called crapaud, from the French for toad. The reason is because in the game’s early days players were required to squat on the floor to roll, making them resemble toads. As the world’s most common dice game, craps is shrouded in superstitions. One is that the number 7 should never be spoken around the table, even though statistically it is the most likely number to be rolled. Forms of dice games have been around almost as long as people have walked the earth. Craps, it is said, dates back to the Crusades, when bored soldiers besieging castles in far off lands were introduced to a game of dice to pass the time. As the Crusaders returned from the Holy Land home, they brought the game with them, facilitating its spread across Europe and eventually the New World. As the world’s most common dice game, craps is shrouded in superstitions. One is that the number 7 should never be spoken around the table, even though statistically it is the most likely number to be rolled. Many players also believe that blowing on the dice brings good luck. Craps first appeared in Europe back in the 12th century, making its way to England’s posh gambling houses in the late 17th and early 18th century. The game was revolutionized in 1907 by an American man named John. H. Winn, who changed the game’s betting rules and implemented the Don’t Pass betting scheme help the game gain in popularity across America. Craps first entered into main stream casino play in Nevada in the 1930s and skyrocketed in popularity. Its image was helped by U.S. soldiers during WWII, who were often seen playing the game in G.I. issue blankets while awaiting deployment. 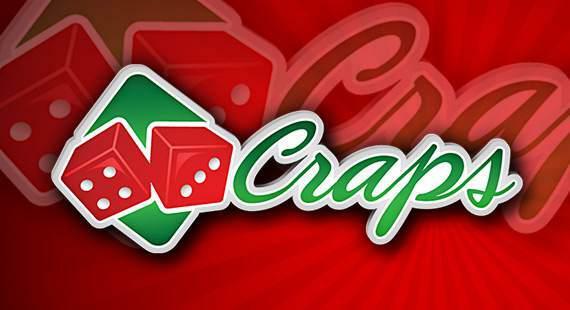 Today craps is the world’s most popular dice game. If you take a close look at the craps dice at a land-based casino, you’ll notice they are transparent. This is intentional, as it stems from a history of providing transparent dice to show players the dice have not been tampered with and that play is fair. Yea, it’s better than Monte Carlo, Las Vegas, Atlantic City or Macau, step up to the table like Bond anywhere, anytime and give the roulette wheel a winning spin at the Planet 7 online real money casino! A game of both skill and chance, Planet 7 gives you the chance to show you seriously know how to play and win real money playing our fantastic assortment of blackjack games.